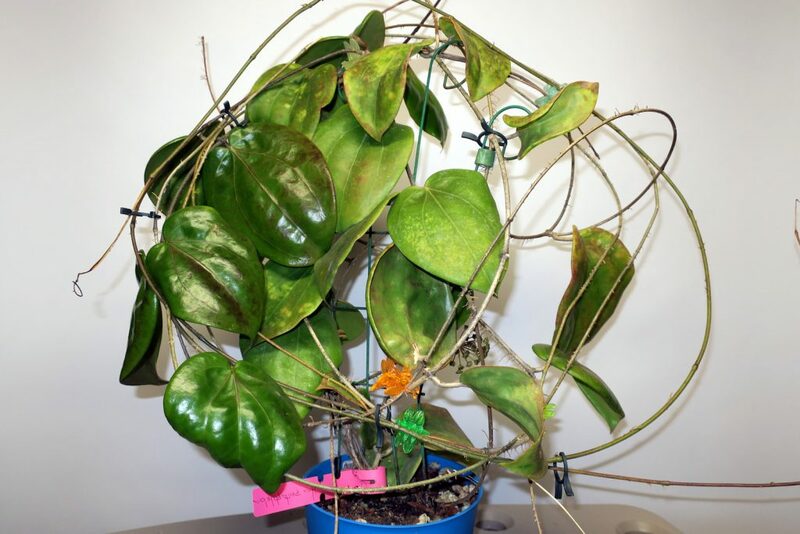 Hoya pentaphlebia was named after the five prominent primary veins that appear on both sides of the leaves. It is especially visible in the younger leaves. This species was first collected by Maximo Ramos in the Cauayan Valley, Samar Island in the Philippines on March 9th, 1914. It can also be found in low altitude forests in Biliran, Samar and Surigao Province, Mindanao Island (from the book A Collection of Philippine Hoyas and Their Culture by Fernando B. Aurigue). 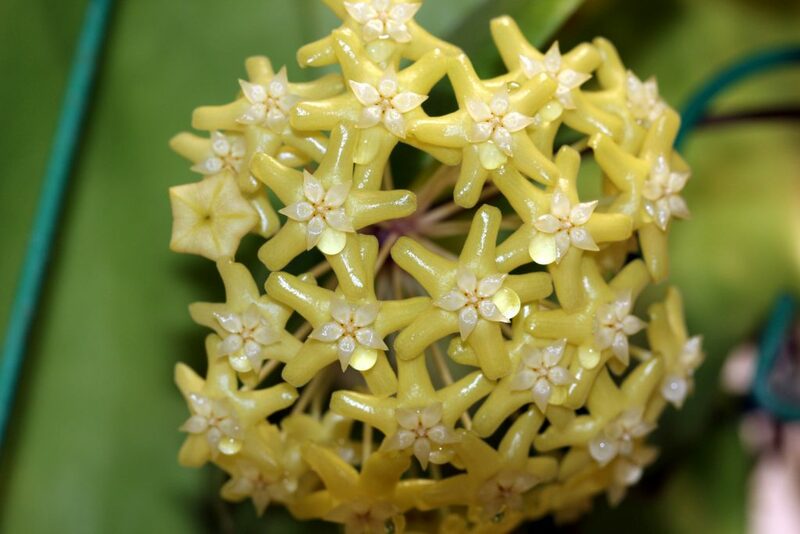 The leaves of Hoya pentaphlebia can reach 6 inches long by 4.5 inches wide about 160 mm by 90 mm. The flowers are about 15 mm in diameter with the entire umbel measuring about 40 mm across. Hoya pentaphlebia is another one of those Hoyas that is extremely susceptible to root rot when grown too cold and too wet. If given conditions to its liking it can flower early from cutting. 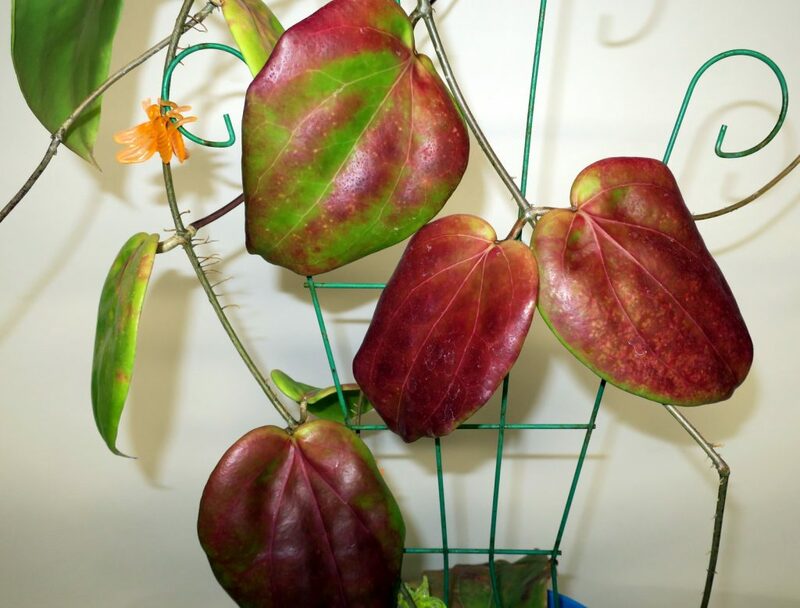 The plant like so many Hoyas thrives in warmth and high humidity, with good filtered light. I grew my plant in my regular chunky mix, but struggled with it over two different winters. The only reason I still have the plant is because of the gorgeous leaves. For those who have the warmth and humidity to offer it, Hoya pentaphlebia would make an outstanding addition to a collection of Hoyas. It gorgeous leaves, and peduncles of beautiful yellow flowers are extremely rewarding. For northern gardener such as myself, it might not make such a good choice if all you have to offer is a spot on a windowsill.